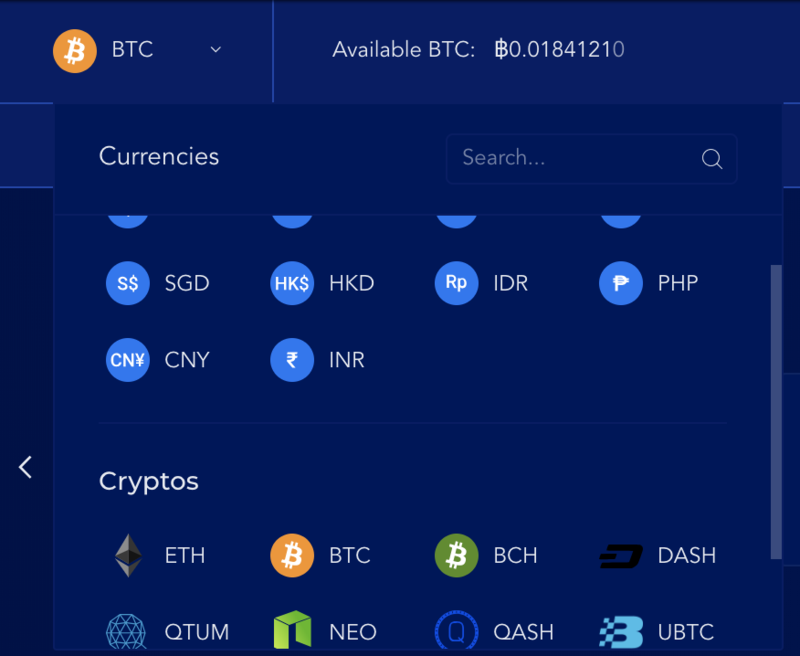 While you're in Lending, choose the currency you want to lend to traders. 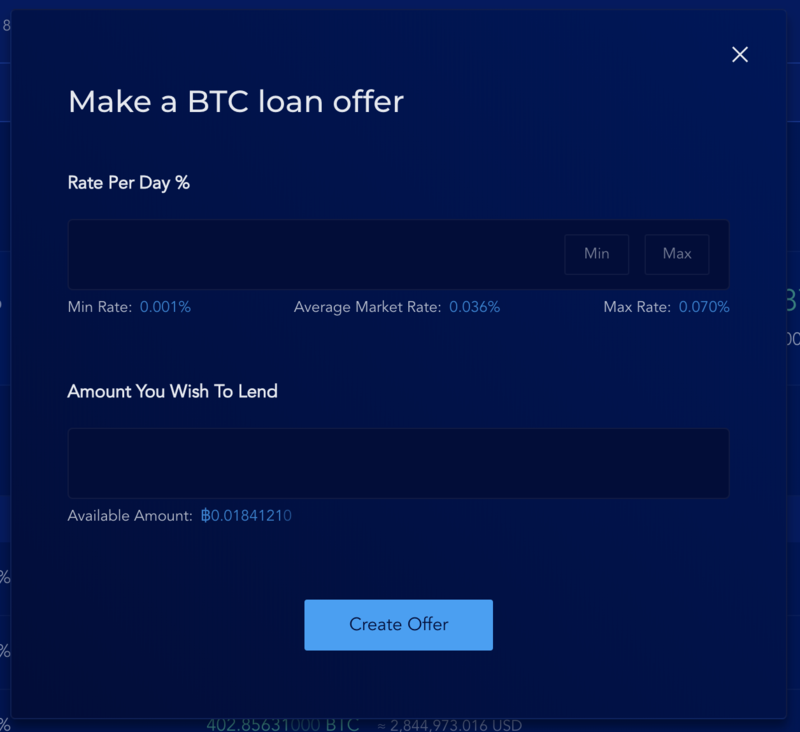 Enter a rate for your offer, and how much you want to lend. If you're not sure how much the daily interest rate should be, Min Rate, Average Market Rate, and Max Rate are good indicators for the market's demand at the time. Available Amount lets you know how much balance you can use for new loan offers. Once you're done, click Create Offer. You just created a loan offer. To monitor the offer, see Offers tab.